The AR-15 Armorers Course exists to help students learn how to effectively and safely fully disassemble, and re-assemble all variants of AR15 and M16 style rifles, diagnose malfunctions and how to perform corrective actions and repairs. ﻿Cole Weick is a Master Firearm Instructor in rifle, pistol and shotgun. He is a certified armorer. He has taught hundreds of students on operation of the AR15 platform. Cole has over a decade of law enforcement experience which includes being a deputy and SWAT member. Cole participates in 3 gun competitions in his spare time. REQUEST COURSE: Bring this training to your location! COST: $395 per Student: Includes 2 day training course and high quality AR-15 Armorer's Manual. *Often departments will partner with each other to send officers to reduce costs. Some departments host and then charge outsiders to attend reducing overall cost for their agency. $695 per student which includes 2 day of training course and high quality AR-15 Armorer's Manual. Also Includes a tool kit for you to bring back to your department. CLASS SIZE: Recommend about 8-10 people per class (or less). Dates: Let us know when it works for you. TIMES: Typically 8:00am to 5:00pm with 1 hour lunch break. Location: Classroom of your choice. EQUIPMENT NEEDED: We will provide Armorer’s equipment/materials for training. If students choose not to buy tool kit they can bring their own kit. 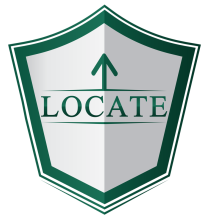 OTHER: LOCATE training, LLC will provide: training, equipment and instructor. Departments will provide: students, classroom and their own weapons. *We help market for you to get students to fill the class! “This was a great class which provided everything that was needed to go back to our departments and be a knowledgeable Armorer. The instructor provided great step by step instruction and provided us with a detailed manual. “I came to this class with a basic understanding of disassembly. Leaving this class I am confident about my abilities to fully dismantle the 16 platform, troubleshoot problems then reassemble. Highly recommend this class! 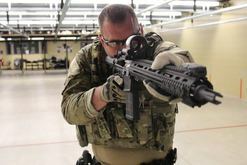 “I would recommend hiring LOCATE Training for AR-15 Armorer’s Training. Good instructor who is very knowledgeable about the rifle. Instructor did an awesome job explaining problem solving relating to the AR platform." ﻿REQUEST COURSE: Bring this training to your location!